This outings program is a visit to the WildLink program, a partnership between the Yosemite Institute and the Sierra Nevada Wilderness Education Project. This is the first follow-up to our original program on ethnic diversity among wilderness users. 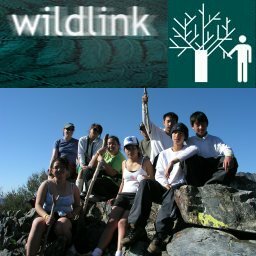 WildLink is a program to expose teens from low-income, ethnically-diverse families to a wilderness experience. Nina Roberts, Ph.D, assistant professor at San Francisco State University, explains why a program like WildLink is necessary. Mandy Vance, the director of the WildLink program. Lawrence, a WildLink student from Sanger, CA. Jonathon, a WildLink student from Traver, CA. In the bonus interview segment, linked below, Mandy Vance talks about the origin of WildLink, why she thinks minorities are under-represented in the wilderness, and her thoughts on how others can help her efforts.